Schott KC10 Clamps Keck for Standard Taper Joint Sizes 10/13 & 10/29 . New Life Scientific, Inc. 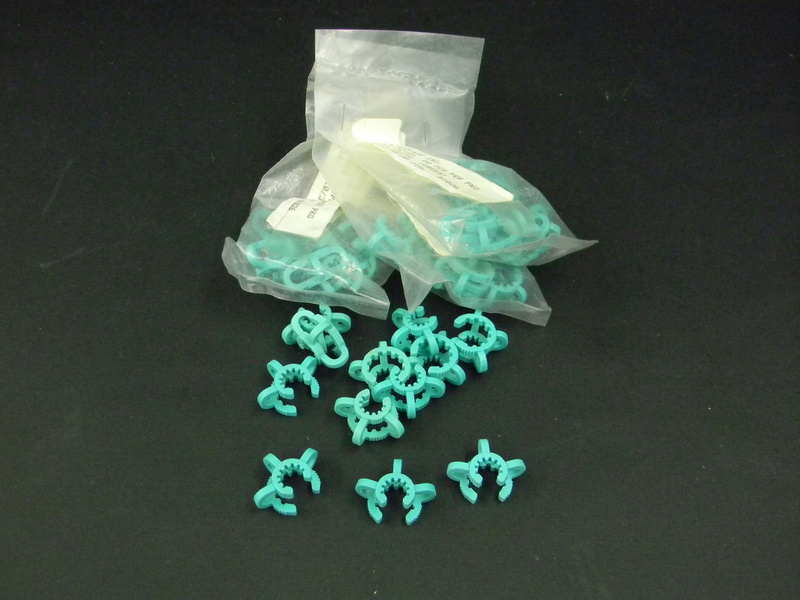 These are used clips that were originally acquired from a US pharmaceuticals lab. There are some new clips that have been removed from the original packaging included. Some clips may be scuffed up or discolored, however this does not appear to hinder the efficacy of the clips. These clips are made of Delrin that is non-corrosive and will not scratch glass; they can be used to 140ºC and color coded for easy identification.